Many have asked: who is Ahmed Hulusi and what is his mission? Ahmed Hulusi was born on 21 January 1945 in Cerrahpasa, Istanbul, and was named Ahmed by his mother and Hulusi by his father. He spent the first 18 years of his life without any prior religious knowledge, believing only in ‘a Creator’. As every time Ahmed Hulusi enquired about religion he was told “do not question, just do as you are told,” he lived a seemingly ‘irreligious’ life according to his environment. Three days after his father’s death, on 10 September 1963, unable to decline his mother’s wish, he attended Friday prayer, where he felt an immense inspiration and desire to understand the reality of religion. That same day he decided to always keep in a state of ablution and committed to performing the prescribed daily prayers (salat). He commenced his religious education by studying the eleven volumes of Sahih Bukhari, published by the Turkish Directorate for Religious Affairs, the whole of the al-Kutub al-Sittah, and the most authentic Turkish translation of the Quran by the late Elmalili, one of Turkey’s most eminent Quran scholars. He then spent two years undertaking intense studies of the modern sciences. This exceptionally diligent period of education was then followed by an interval of intensive spiritual diets and retreats, leading him in 1965 to write his first book The Great Awakening (Tecelliyat). This book holds an important place for Ahmed Hulusi as it is a conglomeration of his views and theological evaluations at the youthful age of 21. In 1965 he took a solitary journey, as with all his endeavors, to fulfill his pilgrimage to Mecca (hajj). In 1970, when he was working for the Aksam newspaper of Turkey, he began researching the topic of spirits and the evoking of spirits, and published Turkey’s first and only book in this field, Spirit, Man, Jinn (Ruh Insan Cin). 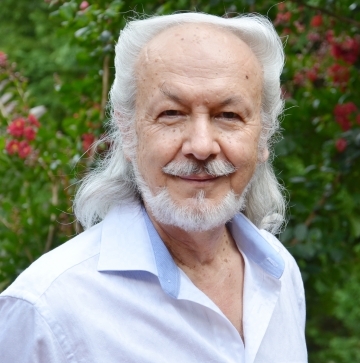 After discovering that the phrases in the Quran “smokeless fire” and “fire that inhabits the pores” are actually references made to “radial energy”, Ahmed Hulusi began to further his research to decipher the teachings of the Quran in the light of science, and shared his findings in his book The Mysteries of Man (Insan ve Sirlari) in 1985. Continuing to integrate the truths in the Quran with the contemporary sciences, Ahmed Hulusi established his understanding of religion on the foundation of the System and Order denoted by the One named Allah, and committed himself to “reading” the reality disclosed by Muhammad (saw), sharing his findings through his writings and the internet. Ahmed Hulusi, who has not only read and studied the abovementioned preeminent collections of Islamic Law, but who has also evaluated the works of many renowned Sufi saints (waliyy) and scholars, synthesizes his findings with scientific truths and presents them as an integrated system of rational reality. Ahmed Hulusi strongly believes that people should be evaluated according to their ideas rather than their personalities, and asserts that Muhammad (saw) is the best example of this. While simple-minded people spend their lives busying themselves spreading rumors about ‘personalities’, he claims, developed minds engage with data resulting from ideas and thought processes. In order to refrain from self-promotion, he has not put his surname on any of the books he has written over the last 40 years. He does not claim to be a guru or a teacher to anybody; on the contrary, he chooses to have very little contact with people despite the large demand and interest he receives. He was forced to put his photo on his books after a few imposters claimed to be “Ahmed Hulusi,” gathering and exploiting large crowds of people in the Anatolia region of Turkey. Ahmed Hulusi, who has always held an authentic press card, has never been occupied in a profession other than journalism. He has never been a member of any political, social or religious organization, foundation or establishment of any sort. He has spent his life researching Islamic mysticism, or Sufism, and the modern sciences. He is also one of few authors to offer all his works, including his entire collection of books, writings and videoconferences, absolutely free, fully downloadable from his internet site. All of his views and ideas are offered without any expectation of material gain. Due to the 28 February 1997 “postmodern coup” in Turkey, Ahmed Hulusi and his wife, Cemile, moved to London, where they lived for a year, before settling in the USA, where he still resides today. Ahmed Hulusi who prefers to live a relatively reclusive life in his small town, recommends that people re-evaluate the original teachings of Muhammad (saw) and the Quran in the light of science, without depending on an intermediary. According to Ahmed Hulusi, in respect of the System disclosed by Muhammad (saw), religious “positions” cannot exist. Every individual has the right to, and is obliged to, directly interact with the teachings of Allah through Muhammad (saw) and shape their lives accordingly. Ahmed Hulusi claims, the only person one must follow is Muhammad (saw), as everyone else has a consultative role. He believes people are only accountable for the knowledge imparted by Muhammad (saw) and the Quran, as all other views are “relative” and non-binding. Ahmed Hulusi is an Islamic intellectualist who tries to share his thoughts with those who have an intellectual and inquisitive mind! As long as it remains faithful to the original, all his works can be printed and distributed for free. Just knowing that his books are in the houses of millions of people is a great enough honor for him. Finally… It is important to remember that each person’s understanding is according to their knowledge base. Try and evaluate these books with your own minds. Be concerned about the writings, not the writer. Duly examine these truths that are complimentarily shared with you. I hope these books, that are based on the truths of Allah and the System (sunnatullah) and that have the potential to give direction to one’s eternal life, will open up new horizons for you.